It is said by some people that museums an meant for entertainment. On the other hand, some people say that they are only meant for education. In modern era, Museum approach as a prominent aspect of education and entertainment. It contributes to the attraction of country and beneficial for the enhancement of educational knowledge. There is a tendency to believe that museums must be utilized for entertainment as well as for education. Lets delve deeper into the topic to seek more clarification. To begin with, One of the main arguments in favor of that museums are meant for entertainment because museums are tourists attraction and their aim to exhibit the collection of things which majority of people wish to see. It is favorable to enhance economical growth of a particular country and raise the standard of living due to numerous visitors from various countries. It sounds as adventurous activity and more enjoyable for visitors.Moreover,visitors can get information about history and biography of country. other museums offer headsets so that people can listen to detailed commentary about the exhibition. In this way, museums play an important role in teaching people about history,culture, science and many other aspects of life. In an ultimate analysis, the above argument would indicate that museum must be utilize for both purposes entertainment and education. These both aspects beneficial in different ways. However,a good museum should be able to offer an interesting, enjoyable and educational experience. So that people have fun and learn something at the same time. Plz rate my essay and tell me how many bands it deserve.comment on it as soon as possible. Simple and to the point. Good work! Some museums charge for admission while others are free. To what extent do you think that the advantages of charging people for admission outweigh its disadvantages? Museums in the world run by a variety of purposes and budgets. In the past while the majority of museums were managed by governments and national authorities, various theme museums by private owners appeared these days. In this way, each museum has their own policies and strategy regarding entrance fee to attract audiences according to their economical situations. In terms of museums that require customers at no cost to enter, there would be a number of pros and cons. Most of museums to educate citizens allow people to pay small amounts of money, since governments subsidize some portion of total budget. Also private museums tend to bigger amounts of entrance fee than national museums. These entry fees are likely use for maintenance, conservation and holding a new exhibition to maintain and improve museums. However, some people may feel burden to visit historical places and be reluctant to go often there due to economic problems. By contrast, museums that levy at no cost enable individuals to visit more frequently. In London, for instance, where a number of museums such as Nature History Museums and V&A Museums allow locals and tourists to enter for free so that the places are mobbed with people all year round. Enormous people can have access to mater pieces and precious treasures whenever they want. However, it means that the government ought to allocate their national budget more on support arts and culture, resulting in less developed other social service sectors such as education and health care. Also visitors may ruin displays an objects easily, since they are less likely to have any obligation to conserve them. From my perspectives both polices have advantages and demerits. However, if museums ask people to pay just small amounts of money like 1 dollars, audiences may look into the displays more and try not to damage historical objects and places thoughtfully than pay nothing. You can make comments on this student's essay on charging for museums below. Museum- the place where one gets to know about the hidden treasure of native's country. It tells us about the cultural heritage that defines the history and the evolution that has taken place over the years and consists of a wide variety of information on animals, languages, art and paintings and many more. The advantages of charging fees for an entry to the museum are many. First and foremost it helps in generating the revenue as it is the eye catching spot of the tourists. Furthermore, the revenue generated helps in preserving and maintaining the natural beauty of the museum. In addition to this, if a nominal amount of fee is not charged then the unwanted people or the illiterate ones will go over there and will create havoc. Finally, it will result in generation of tax revenue as the entertainment tax will also be collected by the government. On the flip side, the disadvantages of the same cannot be overlooked. Firstly, some foreign tourists might get fooled by the caretakers of the museum as they do not know anything about the charges to be paid and can do away with the extra money recovered from those tourists justifying that "Money is the root of all evils." Also, charging of fees might create a heavy burden on parents of the school students who are planning for a picnic spot to the museum. To conclude, I would say that museums need to be preserved as it represents the human civilization and the revolution, that has taken its own course through time. Hence, a nominal amount of fee should be charged for the same as the disadvantages of admission fees do not outweigh the advantages. Please help me review my essay. Thank you very much. Public museums and art galleries are not needed because people can see historical objects and artistic works by using computers. The best advantage of social network apparently is infinite possibility in gathering information, such as knowledge of art or worthy objects. 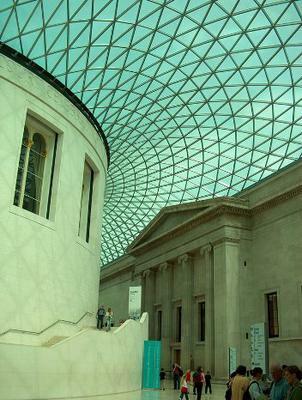 Hence, due to computers' applications, whether the investments in public museums and art galleries are necessary or not is a controversial issue. In my view, I disagree with the opinion that those investments are not needed and state strongly that perceiving a mental value is not simple by visual method on computer. Firstly, not only is a worthy exhibit valued by its physical appearance but also is shown by the elegance of materials. Regardless of monitors' advanced resolution, users can never perceive entirely how far the damages of time to objects' surface make their historical values or how much devotion was put into every single inch of artists' works. As the result, the real approach indeed plays an important role in feel all the quintessence of the righteous value. Furthermore, the conundrum that exhibits were frequently copied by illegal ways has affected strongly to individuals. For example, because of great reputation, the work "Mona Lisa" by Leonardo da Vinci had multifarious copies without any control. Thus, should people not gone to the right gallery, unfortunately, they could spot a mistake copy on social network. This is not to say that using computers cannot bring the full approach. People can filter information from different resources on the internet so that gain the true knowledge of exhibits. But, this method does not bring success in all cases. - "whether the investments in public museums and art galleries are necessary or not" is not a proper subject, you should add "the fact that" before the phrase. - Replacing "viewers" instead of "users" is better. - "objects' surface" THAT "makes their historical..."
- Do you mean "the real sight" when you write "the real approach"? - "plays an important role in HELPING VIEWERS to feel all the quintessenceS"
- I've never heard "Righteous value" before. maybe you should change it to "precious exhibits"
- "exhibits have been ... " (Present perfect is better"
- strongly is used before. You can use "atrociously" to emphasize bad things. It's a great word. - Do you mean "post" when you write "spot"? - not resources, just "sources". - "so that THEY CAN GAIN" or "so that TO GAIN"
- "knowledge of THE exhibits"
- Should we change "worthy object" to "worthy exhibit"? It's the final statement already. - "and" never goes after period. You ideas are good and organized well, but your way of using words is quite weird. If I were the judge, I would give you 6.5 for this. Many museums charge for admission while others are free. Do you think the advantages of charging people for admission to museums outweigh the disadvantages? Lots of museums charge a fee while some do not. In my point of view, admission fee offers more benefits than providing at no charge. On the one hand, it is beneficial for people to attend to free charge museums. Initially, museums house exhibitions and artifacts of great educational and historical value. Thus, admission free to the public and visitors which is likely to attract more attention would help to introduce the local community’s history and cultures. Otherwise, paying nothing for entrance fee is about to help wide range of people, particularly some poverty in the local area, approaching to the beauty, art and perhaps their ancestors’ accomplishments. More people come to museums might gain the public understanding about historical value and moreover, it could be valuable for their education. On the other hand, charging for entrance fee seems to be better in some aspects. In terms of regulation, charging fee would help to ensure the security for attendants. For example, museums’ chiefs are going to have more budget to hire more security guards who would keep the safety for some invaluable artifacts or visitors. Furthermore, in case of preserve, some masterpieces, especially drawings demand very harsh conditions to sustain so that the more money affords the more modern appliances to preserve them. And last but not least, paying for entrance would support museums with some artifacts which were lost because of wars or thief. Otherwise, the financial support from charging would reduce economical burden in bringing back historic relics which would be saved and developed. In conclusion, it seems to me that the advantages of charging for museums makes paying for entry the better choice, in spite of some benefits of paying nothing. Please comment on this museum essay to help the student improve their score. Sorry but I can't explain why it may not be working for you. It is all set up ok.
Hello. Thank you for this forum. I will have my ielts exam next week and I'd really appreciate if you guys would comment on the essay that I made below. I am aiming for a band score 7. Thank you so much. Some museums and art galleries charge admission fees, while others have free entry. Do you think the advantages of free admission outweigh the disadvantages? There are may museums and centers which showcase different forms of art without any entrance fees. While some require admission charges, I believe that there are far more benefits with museums requiring no payment than those who charge. To start with, it is a major downside for the people who are into visiting museums and art galleries if there is a charge involved. Not only that it would require them to get an amount out of their own pockets, but it would also affect their budget. Secondly, on the part of museum owners, charging no fees could mean that they would have to find alternative ways for maintenance expenditures and budget for the improvement of their facilities. On the other hand, museums which offer free admission are advantageous to people who are into arts and crafts. Being admitted freely to seeing artworks and a gallery full of information of your interest really has its own perks. Moreover, it is highly beneficial to people who appreciate art and who are budget-conscious individuals as well. Lastly, history, knowledge, and information present in these museums are conveyed freely so it benefits not only the people but also the whole society in general. In addition, more people could also be enticed to visit art centers if they do not charge admission fees. Despite not charging, if more people visit these art galleries, good publicity is carried from one person to another. Also, if publicity reaches out to more people, benefactors and donors are also within reach. Similarly, benefits are likely to cover both the community and the museum owners. In conclusion, I believe that the advantages of free-admitting museums are far more than its disadvantages. Despite the potential budget problems of not charging fees that museums could suffer from, public curiosity and knowledge could still bring more benefits in the long run.